So I couldn’t stop at the Snickers Popcorn Recipe. 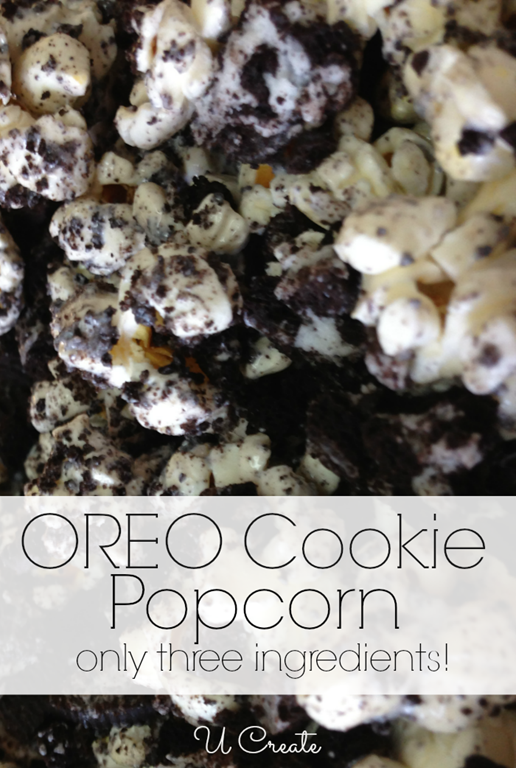 Oreo’s are a favorite in our house and it doesn’t disappoint in popcorn! Smash up the OREO cookies into little pieces. 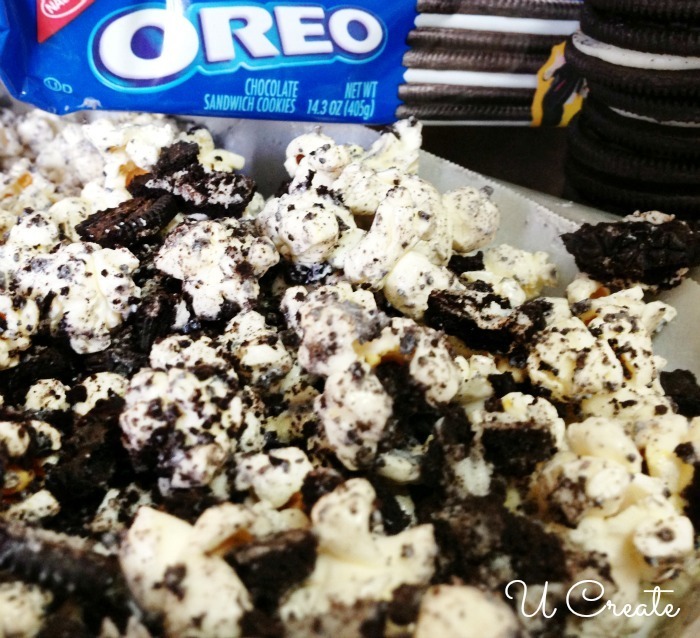 Pour melted chocolate on top of popcorn and sprinkle the OREO cookie pieces on top. I will try this for our 4th of July party! Making it for a road-trip!! Can’t wait to try it….couldn’t find the Candy Melts so I decided to use Almond Bark…..hopefully it works!! Love this and am sharing on my fb page on Monday! SINFUL! positively sinful! I will have to make this! Making this for a football game tomorrow night. Perfect for little snack bags.